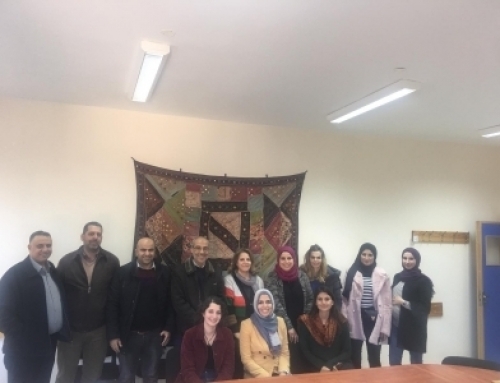 Seven Policy Fellows from the MENA region (from Jordan, Lebanon, Palestine and Turkey) visited the UK during October and November 2018 to meet researchers from the R4HC project. The programme was organised by the Centre for Science and Policy (CSaP) at the University of Cambridge, a networking organization which aims to improve public policy through the more effective use of evidence and expertise. Policy Fellows were nominated by some of the co-investigators and partners in R4HC and they committed to spend time visiting the UK to explore health policy questions that would benefit from academic input. The Centre for Science and Policy will work with the R4HC project to support the Policy Fellows throughout two-year Fellowships which they pursue alongside their main jobs. 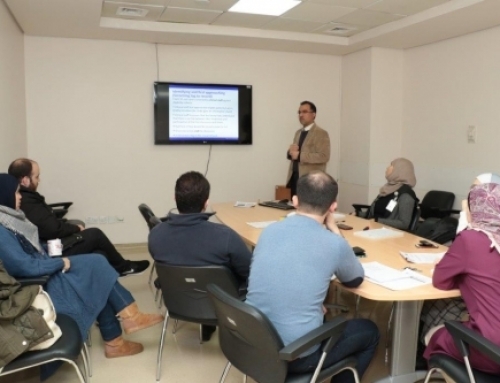 Some of the Policy Fellows have responsibilities for particular areas of health care, for instance Dr Asem Mansour, Director General of the King Hussein Cancer Center in Jordan, posed questions about tobacco control policies, early detection of cancer, access to oncology medicines and palliative care planning. This resulted in a wide-ranging programme of meetings in the UK, including with Professor Richard Sullivan, R4HC Chair, as well as policy officials from the UK’s Department of Health and Social Care, and other researchers at King’s College London, University of Cambridge and Imperial College. The Turkish Policy Fellow who visited is Dr Meltem Sengelen, a lecturer in public health, and she also explored issues in tobacco control, cancer prevention, the burden of cancer in refugees in Turkey, and palliative care policy. Other Policy Fellows have responsibilities including other non-communicable diseases, like mental health, and have interests in how health policies respond to the impact of conflict and migration in the region. Nour Kik is the Policy and Advocacy coordinator for the National Mental Health programme in the Ministry of Public Health, Lebanon. 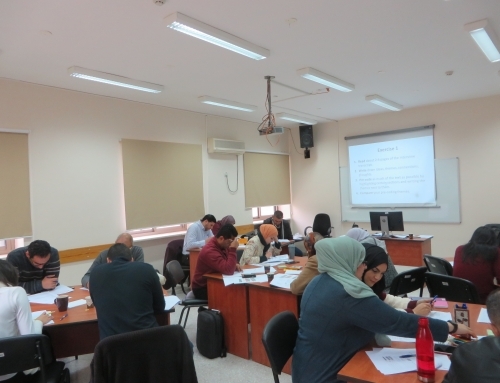 Her colleagues Hilda Harb, Head of Vital Statistics and Healthcare Information Systems, and Ibrahim Bou-Orm, a consultant on non-communicable disease policy and a PhD student, also joined the group of R4HC Policy Fellows. They all had interests in addressing various aspects of the Lebanese health care system especially in view of the recent high proportion of refugees in Lebanon, among other issues. The two Policy Fellows from Palestine, Rana Nashashibi, director of the Palestine Counselling Centre; and Dr Samah Jabr, head of mental health at the Ministry of Health, Palestinian National Authority, both explored mental health topics as well as other issues with the researchers they met, who came from a range of disciplines including education, sociology and law as well as from mental health fields. 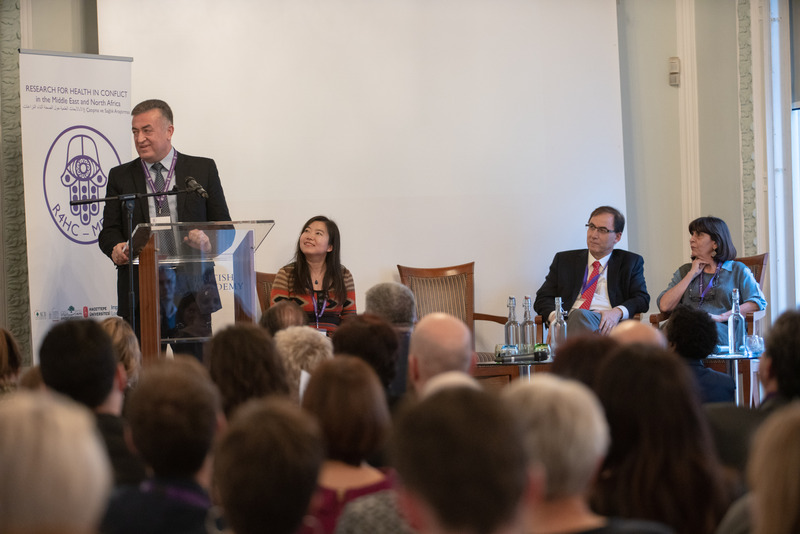 The interdisciplinary nature of the researchers that the Policy Fellows met was valued: expertise was provided from varied fields including oncology, palliative care, mental health, health economics, sociology, political science and more. CSaP is also grateful to representatives from organisations such as Chatham House, the Royal Institute of International Affairs, and the World Health Organization (Eastern Mediterranean Regional Office) for participating in this knowledge exchange programme with R4HC Policy Fellows. CSaP are currently evaluating feedback from the initial meetings during this first pilot of the R4HC Policy Fellowship programme, and suggesting ways to take some of the connections made further.